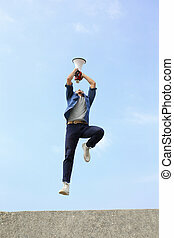 Man jump and shout megaphone. 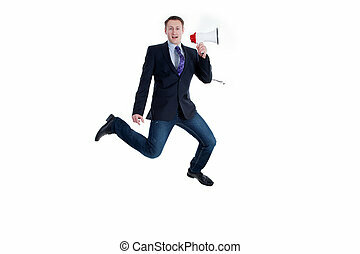 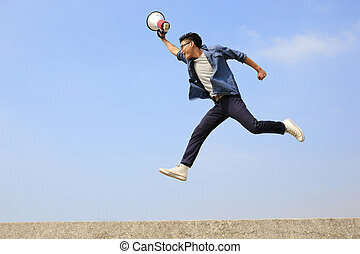 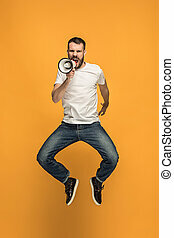 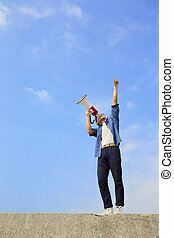 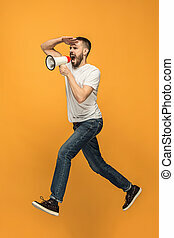 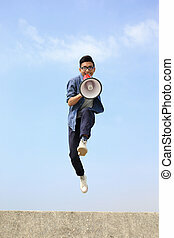 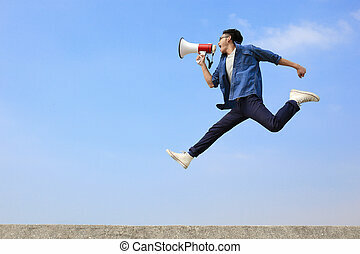 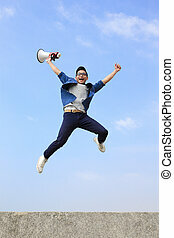 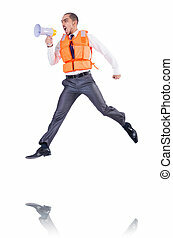 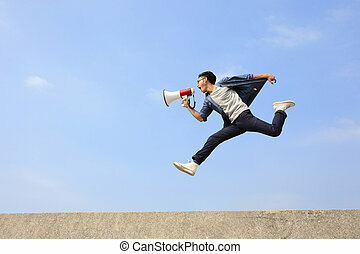 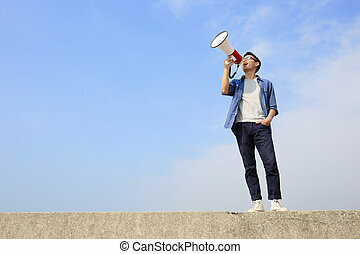 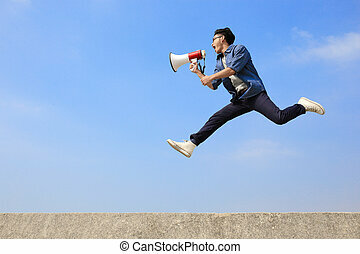 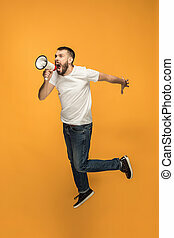 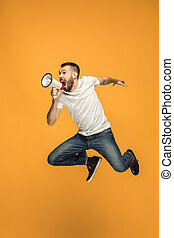 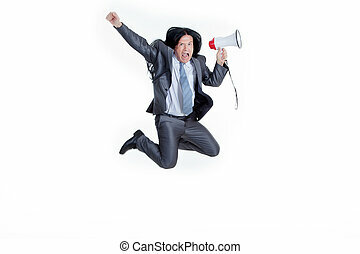 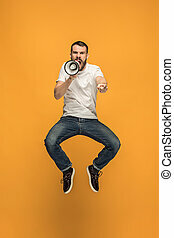 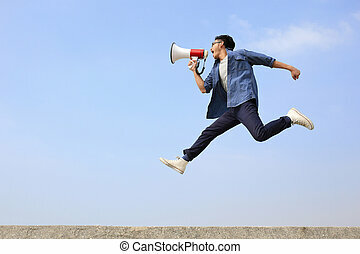 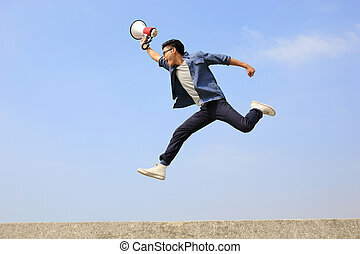 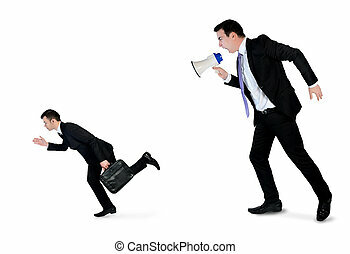 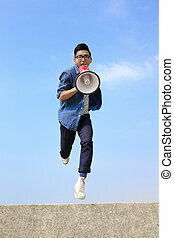 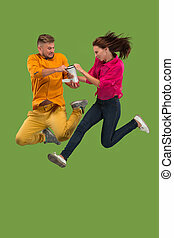 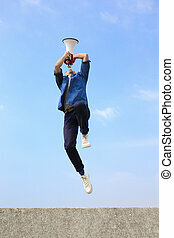 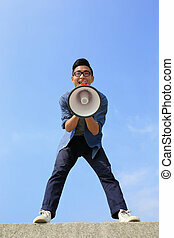 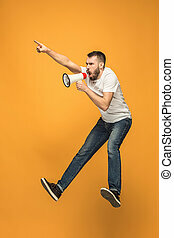 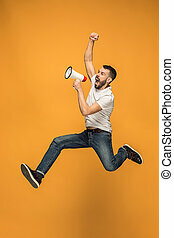 Man jump and shout by megaphone with blue sky background, asian. 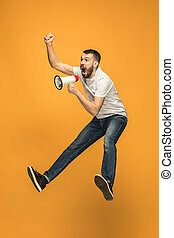 Soccer fan jumping on orange background. 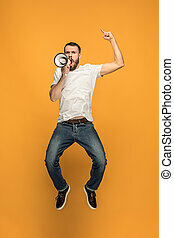 The young man as football fan with megaphone isolated on orange studio. 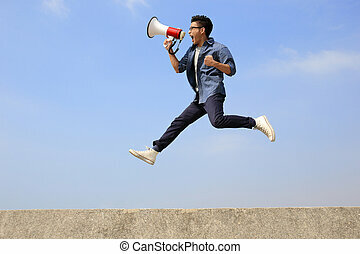 Support concept. 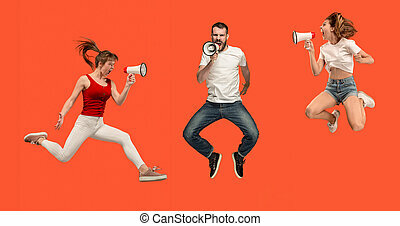 Human emotions, facial expression concepts.